The latest episode of Donal MacIntyre’s Murder Files explores a terrifying race against the clock to find a misogynistic killer. The terrifying story began in 1991 when 18-year-old Leeds resident Julie Dart was kidnapped and her boyfriend received a £140,000 ransom demand for her release. When the ransom was not paid, Julie’s bludgeoned body was found in a field in Lincolnshire. The police faced a race against the clock as the killer began to send letters to the police, threatening to abduct and kill more women. However, it was only after the killer struck again – abducting 26-year-old estate agent Stephanie Slater and demanding a £175,000 ransom for her release – that investigators were finally able to find the perpetrator, Michael Sams. Donal joins Detective Chief Superintendent Bob Taylor, who was in charge of the case, about how the police were able to identify the killer and bring him to justice. As always, it is fascinating to see how a mind such as Taylor’s works – and especially in a case where time was of the essence. While Sams’ threats and demands worried police, the fact his actual behaviour was unpredictable was even more worrying. The methods used by Taylor firstly to find Sams and secondly to ensure he went down for both Dart’s murder and Slater’s abduction, are fascinating to watch. No stone was left unturned and Taylor built a powerful case against Sams. He was sentenced to life in prison and remains there today. The case of Michael Sams is an interesting one in the series of Donal MacIntyre’s Murder Files and the first to not feature a cold case. The change of pace keeps its audience on its feet while being equally engaging. 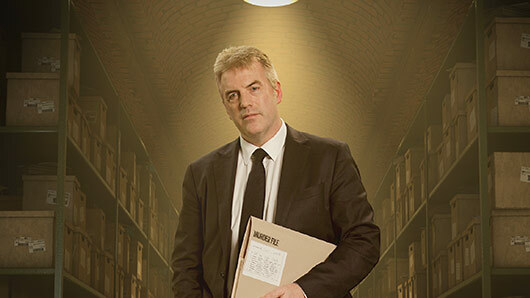 Donal MacIntyre’s Murder Files airs on Wednesdays on CBS Reality at 10pm.